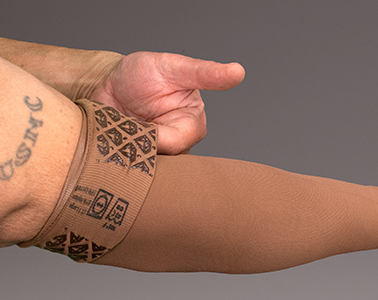 A latex-free and silicone-free gripper applied directly to the top cuff of the sleeve. The Diamond Band Gripper helps the sleeve stay up and prevents rolling. All sleeves are available with or without the Diamond Band Gripper.